When you are searching on the market, you may find there are tools for you to get the job done. You can download a audio recorder for Mac to record capture the audio playback from an application on your computer (DVD Player, for example) into a file that you can edit, chop up and tag. The drawbacks of this method is that it requires you to play the entire DVD while the application runs on your computer. Another alternative method is to use Handbrake + VLC media player with libdvdcss library installed to bypass the copy protection on DVDs. Insert your DVD and launch HandBrake. Select the part of the DVD you want to rip. Click the Audio tab, and choose the track you want to rip next to Track 1. 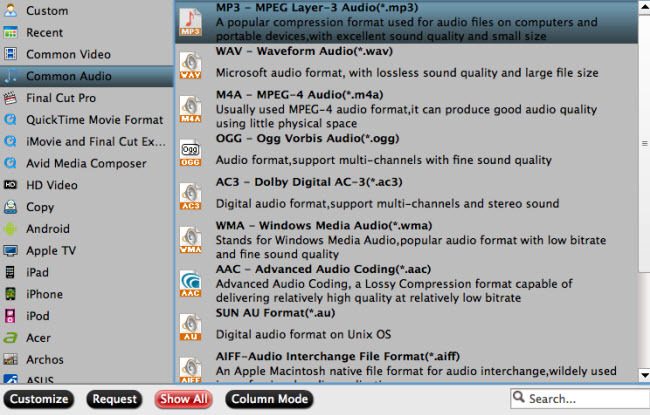 Choose AAC (CoreAudio) under Audio Codec, Stereo under Mixdown, Auto under Samplerate, and 320 under Bitrate. Finally, under Chapters tab, make sure Create Chapter Markers is enabled. Click the Start button and let HandBrake do its work. When HandBrake has finished, download Monkeybread Software’s free Extract Movie Soundtrack 2.0 (payment requested). This small app exports the audio from a movie file in AIFF format. And if your ripped file has chapters in it, the app can even export each chapter as its own AIFF file. If that’s the case, all that’s left now is to add your tracks to iTunes, tag them, and convert them to your format of choices (such as AAC or MP3). If you are looking for a simple, effective yet free solution to extract audio from DVD, we highly recommend Pavtube Free DVDAid for Mac to you. The program can powerfully bypass all DVD copy protection and region code region code, RCE, key2Audio, UOP, CSS, Macrovision, Disney X-project DRM (99 titles DVD encryption included), FluxDVD, Protect, ARccOS, AACS, BD+, ROM Mark, BD-Live, etc from both DVD disc, Video_TS folder and also ISO image file so that you extract the audio content on commercial DVD disc without any limitation. With the program, you can extract various popular audio formats from DVD and save as MP3, WAV, M4A, OGG, WMA, AAC, SUN AU, AIFF, MP2, FLAC, MKV format. For those people who wish to pass through the 5.1 surround sound in original DVD movies, you can use the program to output DVD to Dolby Digital AC3 format with the 5.1 surround sound well preserved. Unlike other free lower quality DVD audio extractor that try to trick you into installing adware or spyware, Pavtube Free DVDAid for Mac is very clean and safe, therefore, you can feel free to download and install it on your computer. In addition, the developer of this application also keeps constant update of this free program to make it work perfect on the new Mac operation system like macOS Sierra and also the ability to break all the new disc encryption on the new DVD disc. Another important point is that the output video and audio is quite high quality and you can’t find any difference between the output video and the original DVD disc. Don’t want to extract the whole audio clips from the DVD video, never mind, you can use the program’s built-in trim function to cut off unwanted audio parts. You can also combine all the separate audio tracks in different DVD titles into one file with the merge function. Don’t satisfy with the output audio quality, feel free to adjust the output audio profile parameters like audio codec, bit rate, sample rate, channels, etc in the programs “Profile Settings” window. 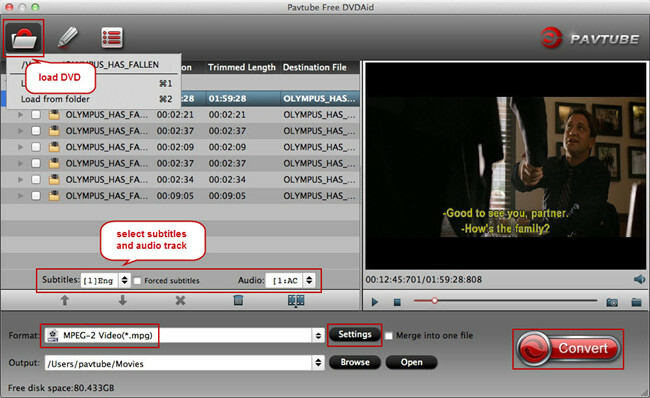 How to Free Extract Audio from DVD on Mac with Pavtube Free DVDAid for Mac? Download, install and run this Free DVD to Digital Copy Maker. You can load DVD by clicking “File” > “Load from disc”. Or load DVD Folder by clicking “File” > “Load from folder” or load DVD IFO/ISO image by clicking “File” > “Load IFO/ISO”. Clicking the Format bar, from its drop-down list, choose one of the popular audio file formats such as”MP3 – MPEG Layer-3 Audio(*.mp3)” as output audio format under “Common Audio” main category. If you wish to rip DVD with 5.1 surround sound, you can choose to output “AC3 – Dolby Digital AC-3(*.mp3)” under “Common Audio” main category. Tips: To achieve best audio playback effect, you could click the “Settings” button to customize output audio profile parameters like codec, bit rate, sample rate, channels, etc. Step 3: Trim or merge audio. 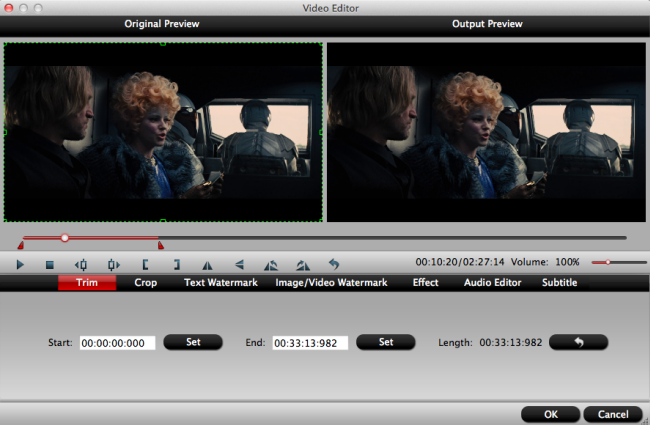 In the video editor window, choose the “Trim” tab and this tab is selected by default when the editing window appears. You can use the trim function to cut off unwanted parts from start and end. You can either drag pointers on the process bar or set exact time point in Start and End boxes to set to leave only your wanted audio parts. By ticking off “Merge into one file” option behind “Settings” button, you can merge the ticked audio files in list into one single file. Hit right-bottom conversion button to start DVD to MP3 audio free extracting process. When the conversion is done, you will have no limitation to enjoy your music or song on any portable devices as you like.